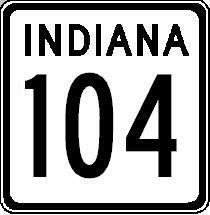 Indiana State Route 104 is located in Northwest Indiana. It runs from Walkerton, northwest to Indiana State Route 4, near Stillwell. Info on IN St Rt 104 is broken down by county below.